On Saturday 23rd March, Santa Pod Raceway invites you to come along to learn about Bracket Racing with the chance to give it a go yourself. 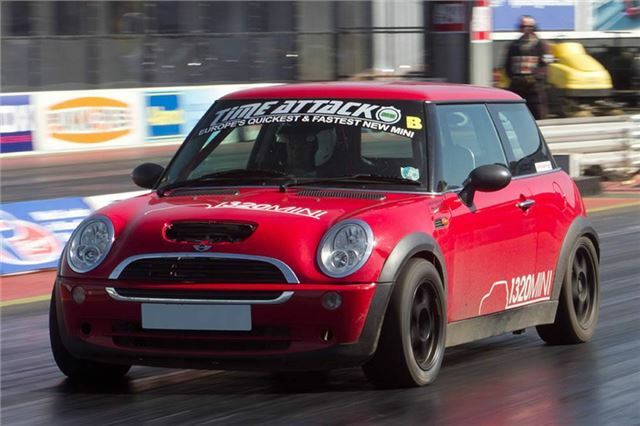 It doesn’t matter what you drive or how fast it is, from a Smart ForTwo to a Ferrari, you can turn up to the track, have a go and still be competitive. Bracket Racing is often misunderstood within the sport of Drag Racing, which is why Santa Pod Raceway have launched a beginner's dial-in day. Members of the public can come along, learn and understand the concept of bracket racing and have a go with full qualifying and eliminations under RWYB rules. In each qualifying session you predict the time your car will run, the dial-in time. So, for example racer 'A' dials 15sec and racer 'B' dials 13sec. If racer 'A' runs 15.1 and racer 'B' runs 13.2 then racer 'A' qualifies higher because he/she was closer to their dial-in. After the qualifying comes the eliminations. You are pitted against a car that is possibly faster than you, so your opponents dial-in time is subtracted from your dial-in time giving you a head start by that amount. If your dial-in is on the button, as is your opponent’s, then you should both cross the finish line at the same time. However, your reaction time is also taken into account so crossing the line at exactly the same time is improbable. The day will consist of a tutorial (in the confines of the VIP suite) which will offer a full beginners guide to bracket racing including handy hints and tips on how to get your quarter mile time right on your dial in and most importantly of all, beat your competitor. This will be followed by qualifying; this is your chance to begin putting what you’ve learned into practice. fee’s apply (£10 per person for admission and £25 per person sign on). This day is open to cars only and the competition will be ran as if it were Sportsman ET, the entry level bracket class. You never know, you might catch the bug and end up moving into the National Drag Racing ranks for the rest of the year.